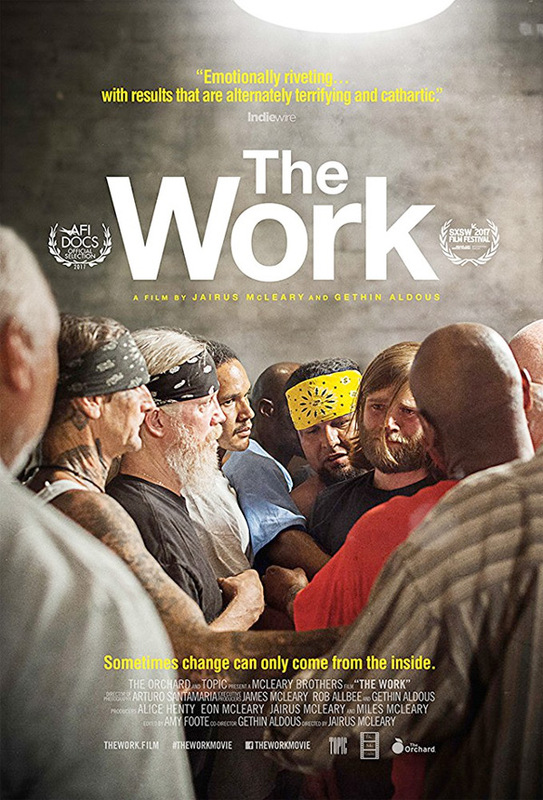 "For four days, let's be, what we could be…" The Orchard has unveiled an official trailer for the acclaimed documentary titled The Work, which goes inside the Folsom Prison to follow three outsiders as they watch and participate in a four-day group therapy retreat with level-four convicts. From directors Jairus McLeary & Gethin Aldous, the film first premiered at the SXSW Film Festival earlier this year where it won the Grand Jury Prize. This looks like an utterly fascinating inside look at how complicated and emotional prison reformation is, and how hard it is to rehabilitate prisoners. Described as a "powerful and rare look past the cinder block walls, steel doors and the dehumanizing tropes in our culture to reveal a movement of change and redemption that transcends what we think of as rehabilitation." Definitely want to see it. Watch below. Set inside a single room in Folsom Prison, The Work follows three men from outside as they participate in a four-day group therapy retreat with level-four convicts. Over the four days, each man in the room takes his turn at delving deep into his past. The raw and revealing process that the incarcerated men undertake exceeds the expectations of the free men, ripping them out of their comfort zones and forcing them to see themselves and the prisoners in unexpected ways. The Work is directed by filmmakers Jairus McLeary & Gethin Aldous ("Sea Nation"), collaborating for their first time as co-directors. This premiered at the SXSW Film Festival, and also played at numerous other festivals this year including BAMcinemaFest. The Orchard will release The Work in select theaters starting October 20th later this month. Your thoughts?